If you’re studying for the GRE, you likely know that it’s important to have a strong vocabulary before test day. GRE vocab quizzes are one of the best ways to learn new vocabulary words, and you may even have a bit of fun in the process! GRE vocabulary quizzes have become increasingly popular recently, but some are higher-quality than others. It’s important to only take the best GRE vocab quizzes since low-quality quizzes won’t really help you prepare for the test. In this guide, we explain everything vocab quizzes can and can’t help you with, what you should be looking for in a GRE vocab quiz, what the best seven GRE vocabulary quizzes are, and end with more resources to take your vocab prep to the next level. Before we dive into the best GRE vocab quizzes out there, let’s first take a look at what vocab quizzes can and can’t do for you. Knowing this information can help you understand what you can expect to gain from studying vocab and what skills you’ll need to strengthen using other methods. Vocab quizzes can be a great way to learn a lot of new words quickly. You’re not worrying about any other skills at the moment; instead you’re focusing exclusively on expanding your vocabulary. When you study with a GRE words quiz, you’ll be constantly learning and testing yourself on new words, which is a great way to quickly build up a strong vocabulary. While taking a GRE vocab quiz (or 10) can be very helpful in expanding your vocabulary, it can’t replace the benefits of seeing those words in the context of complete paragraphs or passages. All the Verbal Reasoning questions on the GRE are based on passages. This means that when you come across a new word during the test, it won’t be floating on its own like it does on vocab quizzes; it’ll be part of a larger written passage. Seeing a new word in a passage is different than seeing a new word on a quiz. When the word is in a passage, you can use context clues to help deduce the meaning. That’s a skill you won’t develop if you only use quizzes to study vocab words. Additionally, having a strong vocabulary is an important part of doing well on the Verbal Reasoning section of the GRE, but it isn’t the only skill you need. You’ll also need strong critical reading skills and to be able to analyze the meaning of complete sentences, paragraphs, and passages, not just individual words. As more and more GRE vocab quizzes pop up, it can be difficult to separate out the best ones. The top GRE vocab quizzes share four important qualities. A major factor that differentiates top GRE vocab quizzes from the rest of the pack is how similar the words in the quiz are to words you’ll see on the GRE. The words you see on the quiz should be a similar difficulty level as the ones that will be used on the actual exam. Getting the difficulty level of a quiz right can be hard to do, and many quizzes select words that are too easy or difficult to use for effective GRE studying. The best GRE vocab quizzes are also easy to navigate and use. You should be able to move from question to question, review your answers, and see how well you did without any difficulties. Ideally, there should also be an option for you to re-test yourself only on the questions you got wrong so that you’re not repeatedly answering questions you already know the answer to. Many of the lower-quality vocab quizzes are frustrating to use, and it can be difficult to see which questions you answered correctly, which can definitely make your studying less effective. Another key feature that a high-quality GRE vocab quiz must have is definitions that are accurate easy to understand. The definition should give you a clear and thorough idea of what the word means. 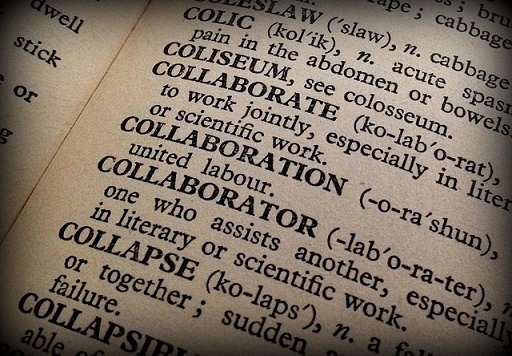 If the word has multiple definitions, each of these should be mentioned. Many top vocab quizzes also indicate which part of speech the word is. If a vocab quiz doesn’t have good definitions for the vocab words it tests you on, you may get an inaccurate or incomplete understanding of the word, which certainly won’t help you on test day. This isn’t a requirement for a GRE vocabulary quiz to be high-quality, but it can be a useful bonus. Some quizzes give, along with the definition of a word, a sample sentence that uses the word. This lets you see how the word is used in context and can give you a better understand of its meaning. Additionally, seeing a word in a sentence is a closer representation of how you’ll see tricky words on the GRE since they’ll all be part of larger passages, not on their own. Below are the seven best quizzes to help you learn GRE vocab. For each site, we’ve included a brief description, as well as any key features or drawbacks you should be aware of. This site contains 14 GRE vocab quizzes, each about ten questions long. Each quiz randomly selects ten words from unique 50-word word banks, so you can take each quiz multiple times with different sets of words. For each quiz question, you need to choose the correct definition for the word presented. Each word has a definition (or more than one, if applicable) and sample sentence. You can also hear the word being pronounced, which isn’t hugely useful for the GRE, but still a nice feature to have. This is a high-quality resource to use, and because it separates the words in 14 different quizzes, you can work on mastering the words in one set before moving onto another instead of trying to get through all 700+ words at once. This large GRE vocabulary quiz contains questions for over 1300 words. For each word, you need to select the correct synonym, and there is also a short passage (or passages) that uses the word beneath the question. Having the words in context with passages helps set this quiz apart because it makes the quiz much more similar to how you’ll see words on the actual GRE. Additionally, after you answer each question, you can see what percentage of other quiz-takers got the question correct, which gives you a general idea of how challenging the word is. One drawback to this quiz is that some words are more difficult than what you’ll likely see on the GRE. Also, since the quiz is so long (and there’s no way to remove words you answered correctly), it will take awhile for you to get back to the beginning of the list and retest yourself on words you missed the first time. This site groups its quizzes into three categories: basic words, intermediate words, and advanced words. Every category has seven to eight levels, each with ten or more vocab words you need to master. You can’t move onto the next level until you’ve gotten all the words correct on the current level. For each word, you must choose the correct synonym. After you answer, you’ll see a sample sentence using the word. Words that you answer incorrectly will be shown again later on in the quiz until you’ve gotten all the words in that level correct. While showing the sample sentence before you’ve answered the question would make this quiz more similar to the GRE, it does use high-quality vocab words, and its system of retesting words you answered incorrectly and requiring you to move through levels can make it easier to learn and remember new words. Quiz Tree has nine GRE vocab quizzes, each 20 questions long. For each question, you’ll need to select the correct definition of the word. There are no sample sentences or additional features included, but the vocab words are well chosen and the quizzes have a colorful, user-friendly interface that makes the site easy to navigate and can make quiz-taking a bit less tedious. For this GRE vocab quiz, you’ll see a definition and part of speech and need to choose the appropriate word from five options. After you answer, you’ll see definitions for each of the five answer choices, which can be helpful if you weren’t sure what any of the other words meant. There are five levels to this quiz, and you’ll need to sign in with a Google account to save your progress. 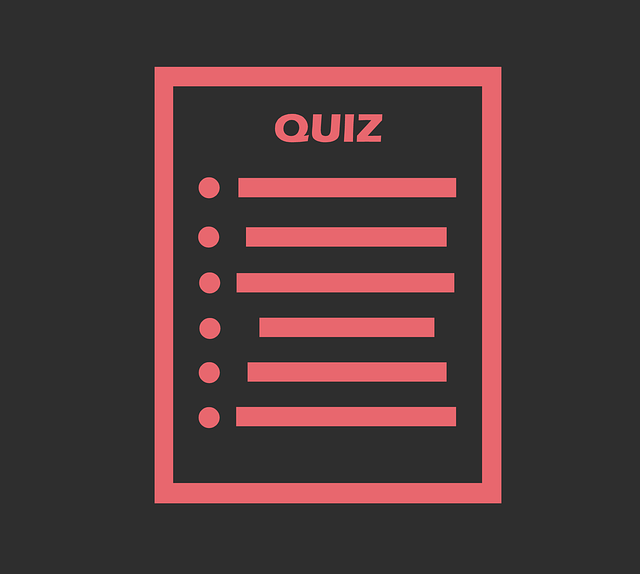 The quiz can at times be difficult to navigate, and you’ll only have a general idea of how many questions are left in a particular level. This site has over 100 quizzes. For each quiz, there are 12 vocab words on one side of the page and 12 definitions on the other side. You need to drag the definition to the correct word and get a match. You’ll find out immediately if your choice is correct. Each time you refresh the page you’ll randomly get a new quiz, which can make it difficult to get back to a specific quiz you want to try again, although since there are so many quizzes available, this may not be a problem. Also, since you’re matching words and definitions, you’ll be able to figure out the last few definitions by default based just on what’s left over. However, the fact that this quiz uses matching makes it unique compared to many other vocab quizzes, and you may enjoy the change if you’ve been studying vocab a lot. Want to improve your GRE score by 7 points? We have the industry's leading GRE prep program. Built by world-class instructors with 99th percentile GRE scores, the program learns your strengths and weaknesses through machine learning data science, then customizes your prep program to you so you get the most effective prep possible. Quizlet, a flashcard-making site, has numerous GRE vocab flashcard sets which you can find by searching “GRE vocab”. These flashcard sets are put together by other users. Some are sets of words the user thought would be useful, others are based on vocab word lists from GRE prep books. The quizzes can range from a handful to over a thousand words in length. These flashcard sets are all user-created, so use your discretion when determining if a particular quiz is a good resource or not. It’s probably better to use this resource after you’ve taken some of the above quizzes so you have a better idea of the difficulty level of words you’re expected to know. You can also make your GRE words quiz on Quizlet, if you’re so inclined. Quizzes can be a great way to improve your vocabulary for the GRE, but they aren’t the only way. Using different methods can help you get a more thorough vocabulary and a better understanding of how vocab is tested on the GRE. Below are two other popular ways of studying GRE vocabulary. You should give them a try, even if you’re happy with GRE vocab quizzes. You may find that they still help you improve your vocabulary and learn new skills to use during the GRE. Flashcards are another helpful way to learn a lot of new vocabulary. There are a lot of GRE flashcards already out there, or you can make your own, either on the computer or with paper and pen. Like quizzes, GRE vocab flashcards are great for studying even if you only have a little bit of time available at the moment. 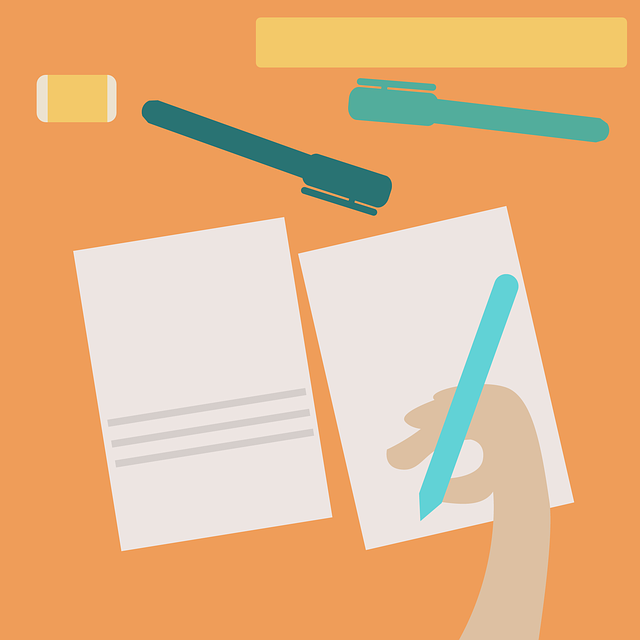 If you’re interested in learning more about flashcards, check out this guide to the best GRE flashcards, as well as our flashcards for the 357 vocab words you must know for the GRE. Another way to learn new words is simply to read texts that are challenging enough to include vocab you don’t already know. Plain old reading may not be as targeted a method to improve your vocab as quizzes or flashcards, but it will help improve your ability to use context clues to figure out what a word means, which can come in very handy on the GRE. Additionally, since all GRE Verbal questions are based on passages, reading texts for your studying, as opposed to just individual words, will be closer to what you’ll be doing on test day, which can help you feel more prepared and confident. The best material to read is university-level academic texts that introduce a topic. Good resources include textbooks or academic journal articles, as long as they aren’t filled with a lot of confusing jargon. Don’t feel like you need to read textbooks from cover to cover though. It’s more useful to do a little reading every day than to try to cram a lot of reading in at one time. GRE vocab quizzes can be a great way to improve your vocabulary before the exam, but you want to make sure you are using the best quizzes available. A GRE vocabulary quiz can help you learn new words quickly, but it can’t replace learning a word in context or teach you other skills you need for the GRE Verbal Reasoning section, such as critical reading skills. Other ways you may want to study vocab for the GRE include flashcards and reading academic journal articles or passages from textbooks. Try out a few different quizzes and methods of studying in order to learn what works best for you. For more GRE vocab words, check out our list of the 357 vocab words you need to know for the GRE. What’s the scoring process for the GRE? 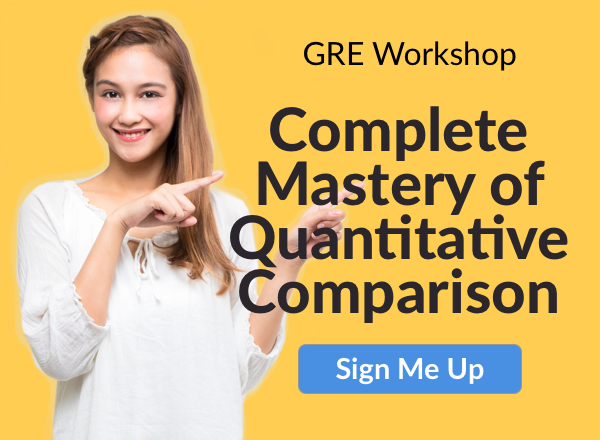 Check out our guide for in-depth analysis of how the GRE is scored. If you want to get a high score on the GRE, you’ll need to develop a study plan. Learn how many hours you’ll need to study for the GRE and how to efficiently use your study time. Previous Previous post: Need GRE Help? Read This Guide! GRE Prep	Need GRE Help? Read This Guide!